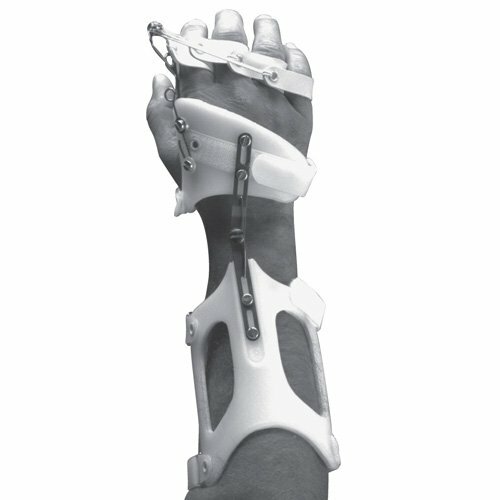 This splint is designed for conservative pre-operative and post-operative treatment of ulnar drift. The dynamic outrigger applies dorso-radial pull on the MCP joints. 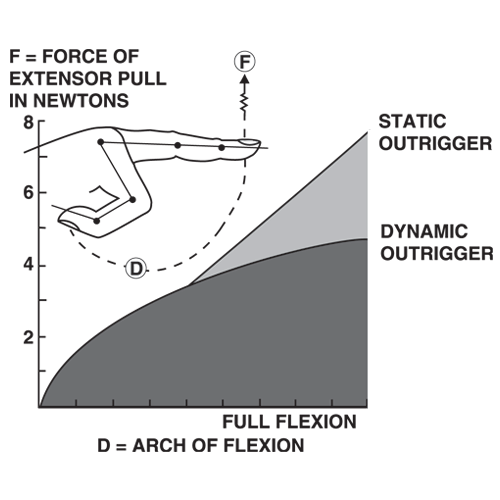 The splint shown has a dynamic wrist joint to create dorso-radial pull. A solid fixed wrist component is also included with the splint. 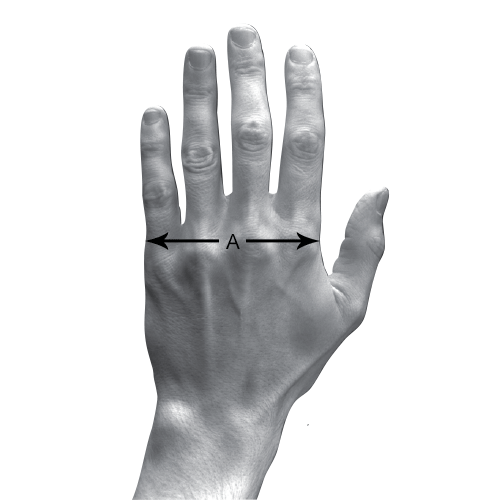 For sizing, measure the distance between the outer part of the second and fifth MCP joint (Distance A). Please see additional product images for details.